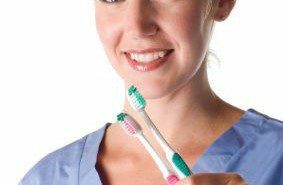 Home » Blog » Oral Health & Wellbeing » Tooth Decay … Cavities! Tooth decay — or dental caries — is an infectious disease process that causes damage to the structure of teeth. 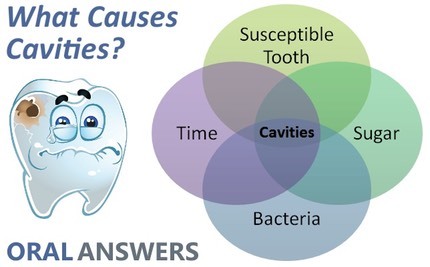 Cavities (holes) are the most notable consequences of dental caries. Left untreated, caries leads to pain, tooth loss — or, in very rare cases, death. In this most extreme case, infection can advance to the “cavernous sinus,” an air cell behind the eye, from which it can then enter the brain. Tooth decay amounts to more than just the inconvenience of “drilling and filling”: it has the power to change a person’s diet, speech, quality of life and overall well-being. Dental decay is a worldwide epidemic, especially among young children. The disease begins early — tooth decay affects more than one-fourth of NZ children ages 2 to 5 and half of those ages 12 to 15. Low-income children are hit the hardest: about half of those ages 6 to 19 have had decay. In addition to pain and other dysfunction, untreated cavities can cause absence from school and other social interactions, low weight and poor appearance — problems that may greatly reduce a child’s capacity to succeed in life. Tooth decay is also a problem for New Zealand adults, affecting more than ninety percent over age forty. 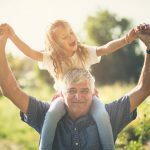 A quarter of adults over age sixty have lost all of their teeth primarily because of decay affecting self-esteem and contributing to nutrition problems by limiting the types of foods that can be eaten. Here’s how it works — specific bacteria (mutans streptococci and lactobacilli) attach themselves to dental plaque, the whitish sticky film that collects on teeth in the absence of effective oral hygiene. When sugars or carbohydrates are eaten, these particular bacteria have the ability to break down the sugars to use for their own metabolism. In the process, though, they produce acid as a by-product which in turn drops the saliva pH. At about pH 5.5 the minerals in the enamel just below the surface begin to dissolve in a process known as “de-mineralization,” in which more calcium and phosphate leave the tooth surface than enter it. 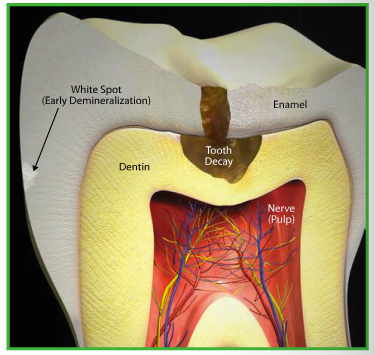 The effects of early de-mineralization in enamel can be seen as a white spot on the tooth. Dentin and root surfaces have much less mineral than enamel and are much more vulnerable to acid dissolution de-mineralizing at a much higher pH (about 6.0 to 6.5). Bacterial acid attacks of short duration can be “buffered” (neutralized) in about thirty minutes by adequate amounts of healthy saliva, thereby returning calcium and phosphate into the tooth sub-surface. Saliva contains a lot of calcium and phosphate “ions” (charged moving particles) that continually leave the surface enamel and are replaced from the saliva, and vice versa. This process is chemically the reverse of de-mineralization and is known as “re-mineralization.” Although the white spot may not disappear, re-mineralization is nature’s way of repairing early damage and returning the tooth surface back to status quo. Nothing in nature is static, but instead it is dynamic and therefore changing constantly to maintain a status quo. 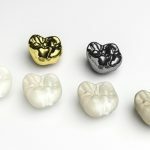 Primarily composed of mineral, teeth continually swing between “DE-mineralization” from the bacteria on the tooth surface, and “RE-mineralization” from the effects of saliva. This interchange occurs on the microscopic level, but still very important in maintaining the normal balance. Given similar habits, you might wonder why some people get cavities and others don’t. This dilemma can be better understood by picturing a balance between pathogenic (disease-causing) and protective (health promoting) factors. Each individual has his/her own unique balance that dynamically changes as time goes on. The trick is to identify what is out of balance and how to tip it towards health and protection. Pathogenic factors include the large amounts of specific acid-producing Bad bacteria, the Absence of healthy salivary function, and poor Dietary habits. 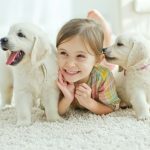 By contrast, protective factors include healthy Salivary function and Sealants (to seal the areas most likely to decay), the use of Antibacterial agents, topical Fluoride, and a healthy and Effective diet. How to Assess Your Caries Risk? 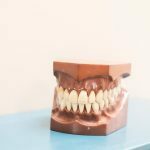 Not everybody has the same level of risk for developing dental caries; this is further complicated by the fact that the risk is dynamic and changes daily, as well as over time. 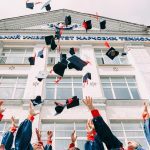 Therefore, assessing the degree of risk is crucial. And let’s not forget that prevention includes determining both pathogenic and protective factors — both sides of the balance. Risk assessment allows preventive and treatment decisions to manage those in greatest jeopardy. This approach allows for “targeted” management appropriate for individuals whether in low, medium, high or extreme risk groups. Protocols have been recently established based on the Age One Visit (for infants and toddlers) as well as for children age 6 through adulthood. You can see now that prevention doesn’t simply mean brush and floss and don’t eat sugar. It is a complicated topic with many implications. 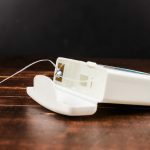 In fact, your dental office may offer some additional steps to measure your caries risk (salivary and bacterial analysis) and then recommend some products that specifically manage your risk level (sealants, antibacterial agents, topical fluoride, calcium and phosphate supplements, pH neutralizers, special toothpaste and rinses, and xylitol gum). These strategies are based on tipping the balance toward health by maximizing the protective side and minimizing or eliminating the pathogenic side. Prevention must be strategic, since it affects planning on an individual and community level. Protecting the teeth from caries — this is best accomplished by applying fluoride topically to the crystalline structure just after the teeth erupt into the mouth. The tooth surfaces are dynamic and will allow incorporation of fluoride ions into the surface structure. Many studies show that low doses of fluoride are safe and effective against decay. Sealants are very successful and are a companion treatment to fluoride because they seal the places where decay occurs in the tiny hidden pits and fissures [Figure 1]. Clinical studies using sealants show 99% cavity-free results during six years of clinical testing on more than 1,100 teeth studied. Identifying and reducing acid-producing bacteria — these bacteria can be identified by a simple test administered by your dentist. If these bacteria are identified, they can be modified to reduce tooth decay by the use of tooth protective products. We can further modify these harmful bacterial concentrations with the use of antibacterial mouth-rinses (such as chlorhexidine) and pH neutralizing agents. It is important to note, infants are not born with the specific decay-causing bacteria but that these bacteria are actually transmitted through saliva from mothers, caregivers, or family members to young children — another reason to practice prevention. Controlling diet — sugars and other carbohydrates can be fermented by bacteria to produce acids. It’s important to reduce refined sugars from the diet or restrict intake to mealtimes. Natural sugars (in raw fruits and vegetables) are better than the free (added) sugars found in juices, sodas, candy and the like. Total sugar intake should be less than fifty grams, about ten teaspoons, per day. Snacking between meals is dangerous because it promotes an acid environment that would take up to thirty minutes for healthy saliva to neutralize. Healthy non-sugary or non-carbohydrate snacks are therefore better, like carrots, vegetables and fresh fruits. Xylitol is an example of an “alcohol sugar” used in some chewing gums and dental products that actually reduces decay-producing bacteria, and is proving useful in decay preventing strategies. One study showed that pregnant mothers who chewed xylitol gum before giving birth reduced the transmission of these strains of bacteria to the child, thus reducing the likelihood of decay. We understand that tooth decay, or dental caries as it is known, is a disease process, and we know the causes. Methods of prevention, early detection, protection and treatment have continued to improve. Dentists are using a more preventive strategy — profiling individuals’ degree of risk and implementing preventive strategies to keep their teeth decay-free for life. How often should children go for dental check ups? Do you need preventative dentistry? 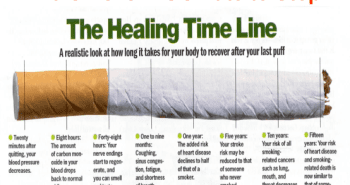 Next postIt’s in the puff of smoke … What about quitting ?